How dost night protest thee? against the blackest grain of night. as find you near quarter of three. find crickets, ghosts and broken time. you finally accept and show with a grin! but only death come to court…. and so, my life on Earth…. The night air slowly poured over the quiet like a thick blanket of snow muffling even the tiniest sounds of God’s creation. Her four walls seemed even smaller within it still, her foundation but a thimble and roof a parasol. Her soul trapped within like a forgotten drink casually placed aside, forgotten and lonely, savoring thoughts of soon being found and consumed. But for now the shards of her heart pierce the night like the incessant screams of Banshee, which remain unheard for layers of loneliness – and her heart’s silence carries the night. The pillow drinks her tears, yet offers no comfort. And the Banshee wails through the night, echoing in the chambers of her heart now ripped from its womb – open – beating and bleeding into her hand. Banshee falls to her knees to sponge the droplets, but the blood of empty hearts can not fade. It stains the world as her open wrists have stained her death gown. Her eyes close and the unknown begins, her gamble that it strips away her blanket of alone-ness…… But she dies alone. Forgotten. And lonelier than before. And the Banshee cries again. but now I’m goin’ down…..
and I might need you around. right here at this night…..
and you’ll be all right…. 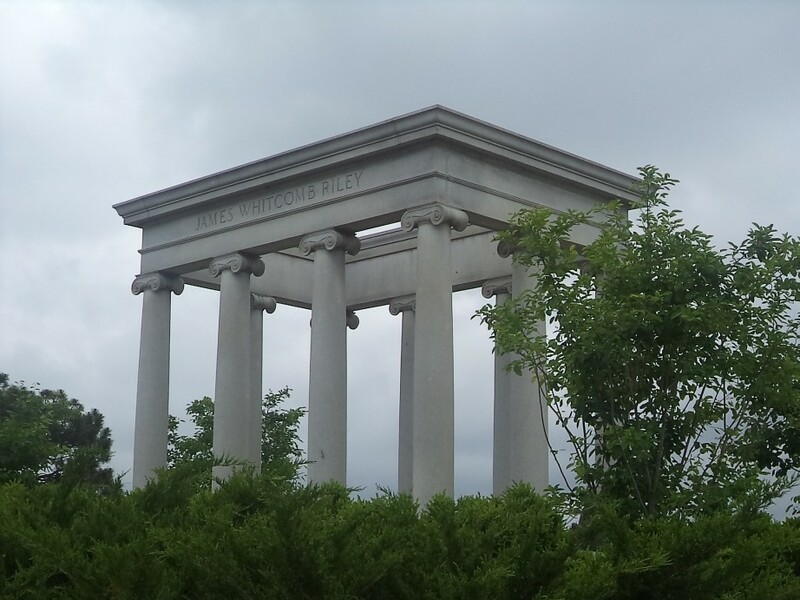 Recntly I visited James Whitcomb Riley’s grave in Crown Hill Cemetery, Indianapolis. 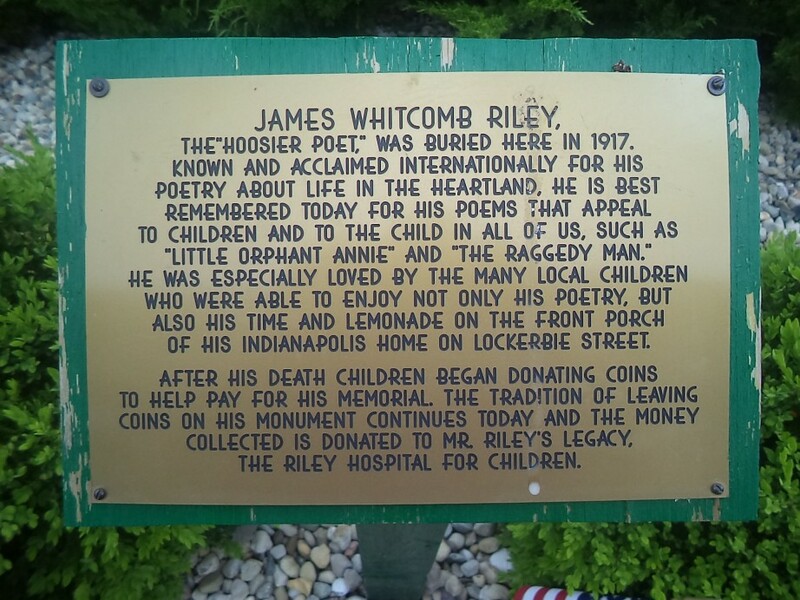 James often wrote with a charming Hoosier style and was called “the child’s poet.” If Mark Twain captured the spirit of childhood adventure during that era, then James Whitcomb Riley certainly claimed the prize for the poetic side of childhood. As a Hoosier myself, and after having visited Baltimore harbor just a week ago – I offer this little bit in honor of Mr. Riley. who wuz likin’ dat sav’ry sea. how gently back n’ forth dey rocks…. but it a’ soon get back to norm’l smellun. Dem boys wuz needin affec-shun…. fo sho…. but me pockets as bare as bare cood be. a mighty fine suppah fo-ME! fo it’s momma’s 3-day ol’ meat-pie a-gin, to-Nite! Then God smiled and it was morning. (Riley wrote this poem, “Leonanie”, but falsely sold it as a long lost poem from Edgar Allan Poe. He did this early in his career when he was having trouble finding paying publishers, and his reason was to prove that he could write as well as other famous poets. But it was quickly discovered and sparked a major scandal in the literary world of the day.) 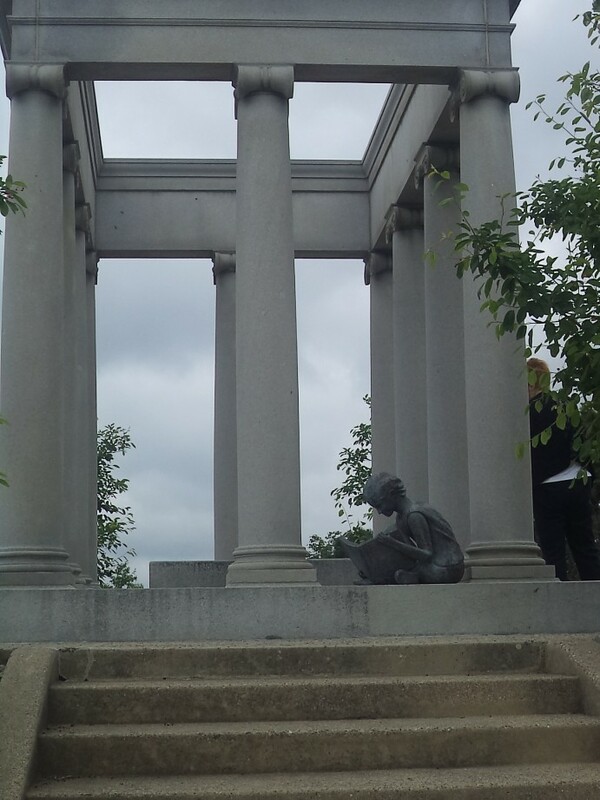 I mention this because my recent trip to Baltimore also included a visit to Edgar Allen Poe’s grave. 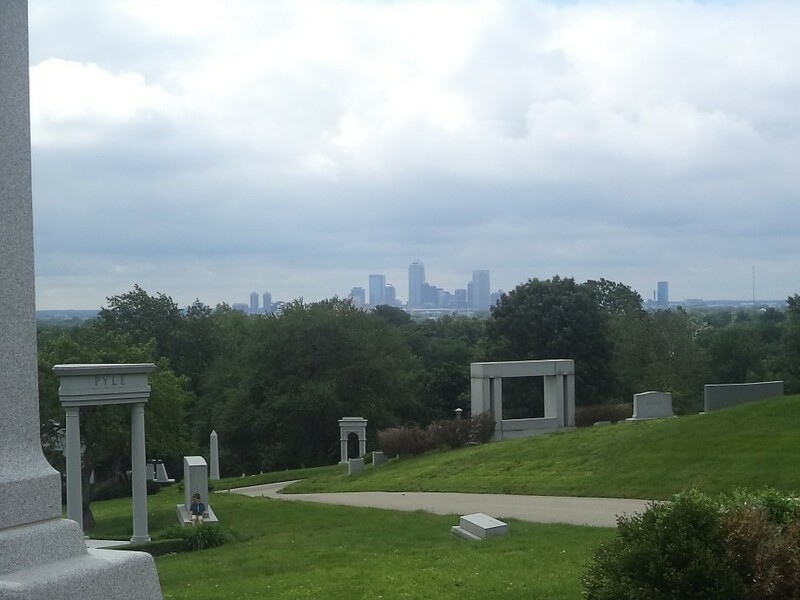 NOTE: The last photo I took from Riley’s monument was a view of the Indianapolis skyline. There is a small boy in the photo sitting on another gravestone. I do not know where he came from or how he got into this photo… odd, indeed…. Of course this is all copyrighted by me friends, as is everything offered on this blog. Sorry for that, and I hate that it needs to be said. And the sad truth is – and the horrendous truth of who we all are as a people – is that it needs to be said.